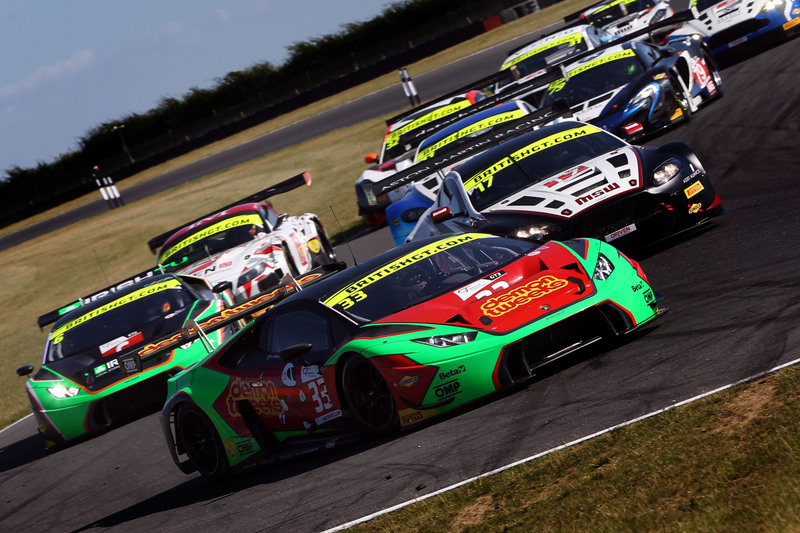 Barwell Motorsport made it two wins in a row when the #33 Lamborghini Huracán, driven by Phil Keen and, across the line, Jon Minshaw, won race Two (Round Eight) of the 2016 British GT Championship at a sun-drenched Snetterton. 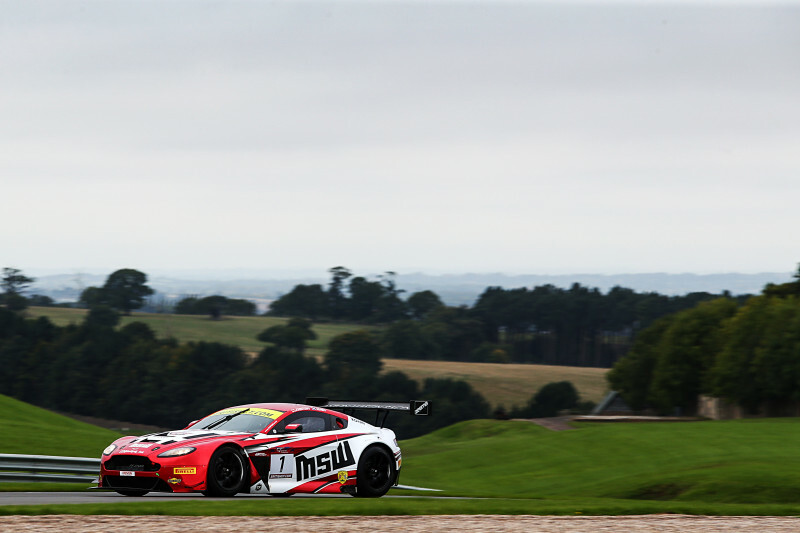 In second place was the #17 TF Sport Aston Martin GT3 driven by Derek Johnston and Jonny Adam. Completing the podium positions was the #7 AMDtuning.com BMW Z4 GT3 driven by Lee Mowle and Jon Osborne, the car that was first across the line but demoted to fifth in Race One. 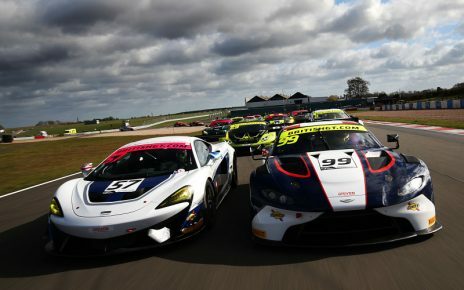 Phil Keen, in the #33 Barwell Motorsports car, led from pole position, chased by the #17 TF Sport Aston Martin Vantage GT3 with Jonny Adam at the wheel. Both drivers pushed hard as fastest laps were exchanged. After the pit-stop and driver changes, Minshaw in the #33 car held the lead over Osborne in the #7 BMW Z4 GT3 and was able to extend his advantage as the #7 AMDtuning.com BMW Z4 GT3 was chased hard by Derek Johnston in the #17 TF Sport Aston Martin. Johnston eventually caught and passed Osborne for second. In GT4, victory went to the #407 Beechdean AMR Aston Martin Vantage GT4 driven by Jack Bartholomew and, back in GT4, Ross Gunn. The #50 PMW World Expo Racing / Optimum Motorsport Ginetta G55 GT4, driven by Drivers Championship-leading Graham Johnston and Mike Robinson came home in second in a result that see their advantage in the championship down from 17.5 points to 2.5 as the championship moves to the final round at Rockingham. Third in GT4 was the #51 Lanan Racing Ginetta G55 GT4 driven by Alex Reed and Joey Foster. 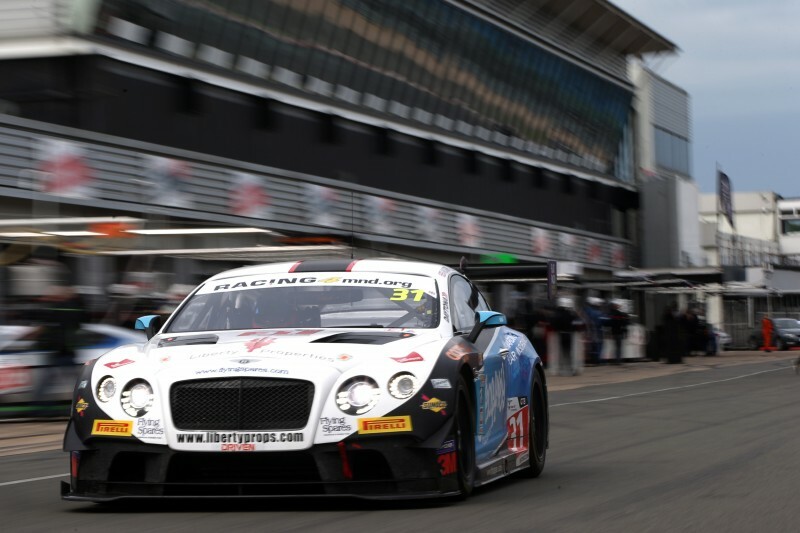 The final round of the 2016 British GT Championship takes place at Donington on September 11.